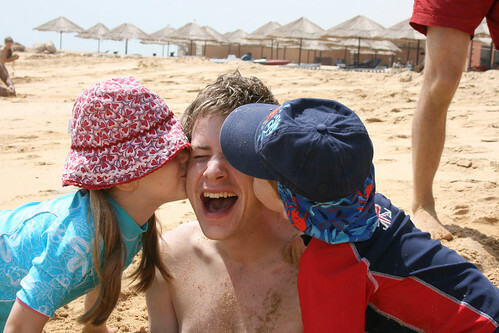 So we’re back from Egypt and the photos are up on Flickr. We had a great time away and really enjoyed spending time with our friends Dominic, Claire, Rebecca, Joshua, Brian and Liz by the seaside. Apologies if you’ve tried to comment on the blog in the past few days, access was suspended due to the huge amount of comment spam coming through. Although none of it got live on the site, I returned to a spam folder of around 17,000 comments! Things are back to normal now though. Oh yes, and I bought a Canon EOS 400D Camera! I’ve wanted an SLR for a looong time and with the income from Dj-ing recently, felt it was finally viable. Although Tim Abbott preferred the Nikon D40x, there was a good deal on the Canon in Duty Free with an 8GB Compact Flash Card thrown in. I’m really happy with the outstanding picture quality. On holidays… we’re going to Luxor in May, plus a trip to Cairo to visit a Christian school for the deaf. I might need to rack your brains for the lowdown on Luxor! Haven’t we all thought about burying Jon at some time or another.